Nothing new but why is there not more protection and arming of Christians and guards? 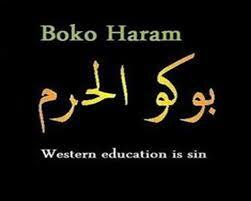 It has been over two years since Boko Haram entered the main stage of terror in Nigeria. In April 2014, the militant group kidnapped 276, mostly Christian, teenage girls from a boarding school in Chibok. 219 of these girls are still missing. Boko Haram has continued to wage a war of terror against the people of Nigeria, specifically in the northeastern region. The group has killed thousands of people, deployed children as suicide bombers, and destroyed the future for countless young women and girls. Last year, the militant group pledged its allegiance to the Islamic State, around the same time that the Nigerian military began its offensive against the group. Now, they have threatened to specifically target Christians and churches in the African nation after feeling threatened by the “Christianizing” of Nigerian society.